In April 2014, researchers flew over a site in southwest Greenland to find that a sub-glacial lake had drained away. This photo shows the crater left behind, as well as a deep crack in the ice. Photo by Stephen Price, Los Alamos National Lab, courtesy of The Ohio State University. A map of a portion of southwest Greenland. The star marks the location of a drained subsurface lake discovered by Ian Howat of The Ohio State University and his team. Image by Ian Howat, courtesy of The Ohio State University. Researchers at The Ohio State University were creating the highest-resolution maps of the Greenland Ice Sheet made to date, when they discovered a crater, shown here, which had once been the site of a sub-glacial lake. Image made by Ian Howat, using a Worldview image copyright DigitalGlobe Inc.
COLUMBUS, Ohio—Researchers who are building the highest-resolution map of the Greenland Ice Sheet to date have made a surprising discovery: two lakes of meltwater that pooled beneath the ice and rapidly drained away. One lake once held billions of gallons of water and emptied to form a mile-wide crater in just a few weeks. The other lake has filled and emptied twice in the last two years. Researchers at The Ohio State University published findings on each lake separately: the first in the open-access journal The Cryosphere, and the second in the journal Nature. Ian Howat, associate professor of earth sciences at Ohio State, leads the team that discovered the cratered lake described in The Cryosphere. To him, the find adds to a growing body of evidence that meltwater has started overflowing the ice sheet’s natural plumbing system and is causing “blowouts” that simply drain lakes away. “The fact that our lake appears to have been stable for at least several decades, and then drained in a matter of weeks—or less—after a few very hot summers, may signal a fundamental change happening in the ice sheet,” Howat said. The two-mile-wide lake described in Nature was discovered by a team led by researcher Michael Willis of Cornell University. Michael Bevis, Ohio Eminent Scholar in Geodynamics and professor of earth sciences at Ohio State, is a co-author of the Nature paper, and he said that the repeated filling of that lake is worrisome. Each time the lake fills, the meltwater carries stored heat, called latent heat, along with it, reducing the stiffness of the surrounding ice and making it more likely to flow out to sea, he said. Bevis explained the long-term implications. “If enough water is pouring down into the Greenland Ice Sheet for us to see the same sub-glacial lake empty and re-fill itself over and over, then there must be so much latent heat being released under the ice that we’d have to expect it to change the large-scale behavior of the ice sheet,” he said. Howat’s team was first to detect the cratered lake described in The Cryosphere, on a spot about 50 kilometers (31 miles) inland from the southwest Greenland coast earlier in 2014. There, previous aerial and satellite imagery indicates that a sub-glacial lake pooled for more than 40 years. More recent images suggest that the lake likely emptied through a meltwater tunnel beneath the ice sheet some time in 2011. The crater measures 2 kilometers (1.2 miles) across and around 70 meters (230 feet) deep. Researchers calculated that the lake that formed it likely contained some 6.7 billion gallons of water. Researchers suspect that, as more meltwater reaches the base of the ice sheet, natural drainage tunnels along the Greenland coast are cutting further inland, Howat explained. The tunnels carry heat and water to areas that were once frozen to the bedrock, potentially causing the ice to melt faster. “Some independent work says that the drainage system has recently expanded to about 50 kilometers inland of the ice edge, which is exactly where this lake is,” he added. It’s possible that the lake was tapped by one of the invading tunnels. It’s also possible that thousands of such lakes dot the Greenland coast. They are hard to detect with radar, and researchers don’t know enough about why and how they form. In contrast to Antarctica, researchers know much less about what’s happening under the ice in Greenland. Howat and his team flew over the site in southwest Greenland in April 2014, after they realized that detection of the crater, nestled in the midst of a flat ice expanse, was not just an error in the high-resolution surface data they’ve been collecting. Using DigitalGlobe Inc.'s Worldview satellites, they’re assembling a Greenland ice map with 2-meter (approximately 6.5-feet) resolution. Bevis and his colleagues discovered the lake described in Nature under similar circumstances in March 2013. They were gathering data to supplement their long-standing efforts to weigh the Greenland Ice Sheet with GPS and spotted the mitten-shaped lake by accident. Using data from Worldview and NASA’s Operation IceBridge, the Cornell-led team calculated that the lake filled and emptied twice since 2012, at one point experiencing a sub-surface blowout that drove water from the lake at a volume of 215 cubic meters (nearly 57,000 gallons—close to the volume of a 30-foot-by-50-foot backyard swimming pool) every second. Though researchers have long known of the existence of sub-glacial lakes, never before have they witnessed any draining away. The sudden discovery of two—one of which seems to be refilling and draining repeatedly—signals to Bevis that Greenland ice loss has likely reached a milestone. 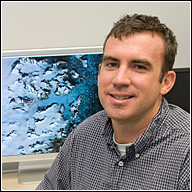 Coauthors on the paper in The Cryosphere include Myoung-Jong Noh, a postdoctoral researcher, and Seongsu Jeong, a doctoral student, both of earth sciences at Ohio State; Claire Porter of the Polar Geospatial Center at the University of Minnesota; and Ben Smith of the Polar Science Center of the University of Washington. Coauthors on the paper in Nature include Bradley Herried of the University of Minnesota and Robin Bell of Columbia University. 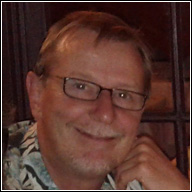 Willis holds a joint appointment at the University of North Carolina, Chapel Hill. These projects were funded by NASA and the National Science Foundation.